The very good and famous recording of Orleans, 15th June 1977, freshly upgraded. This is most probably a soundboard recording, but I would rate the sound only 7,5/10 (not excellent). 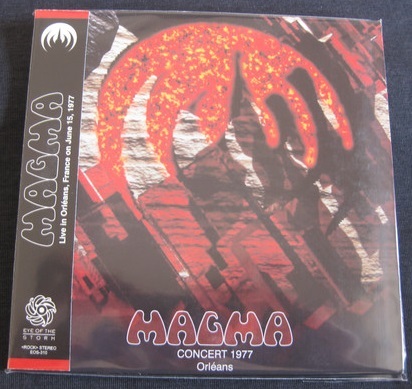 Nevertheless, it's a must have for every Magma fan because it contains many unreleased track, and most notably the famous long version of Zombies, unavailable on any other boot. 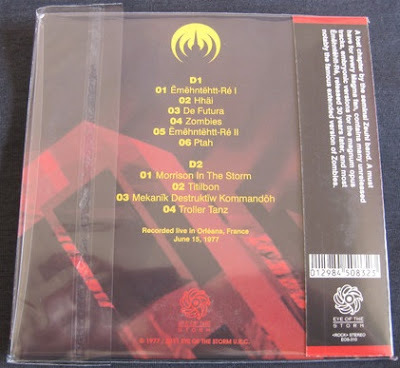 - an annoying cut in the middle of Zombies (long version - or Ehmenthett Ré II as it is now known) have been repaired, without losing any music. - 2 cuts were on MDK. A bit of music was lost because of the first cut (at approx 14 min) so I did my best to remove it while having a seamless performance, but connoisseur will notice a transition that is not on the original composition - but that's better than having a hole. The second one was a cut with overlaps, so there was no difficulty to remove this one.